Hint: It's not because they want to. While looking through photos of happy Olympians crying tears of joy on the podium, I noticed a strange pattern: They all bite their medals. 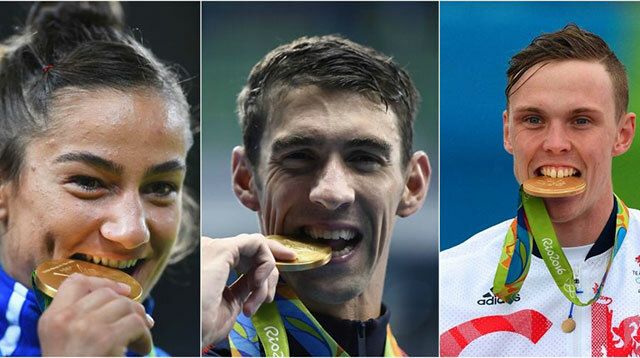 At first I thought it was a coincidence, but after noticing athlete after athlete putting their newly awarded medals in their mouths, I suspected there was a reason behind the bizarre, celebratory habit. Now I just feel sorry for Michael Phelps' teeth.